The 10 X 10 UNIQUE tent is set without walls and gable ends much like an entrance awning on a building. 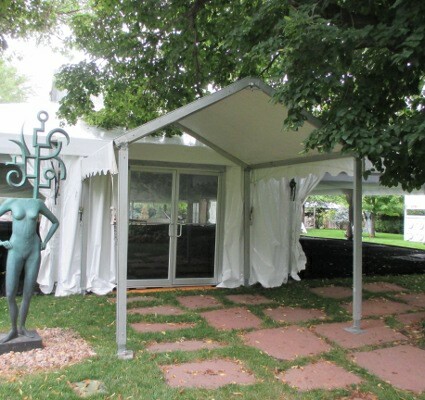 The 10 X 20 UNIQUE tent was set with walls giving more privacy and protection from the elements. 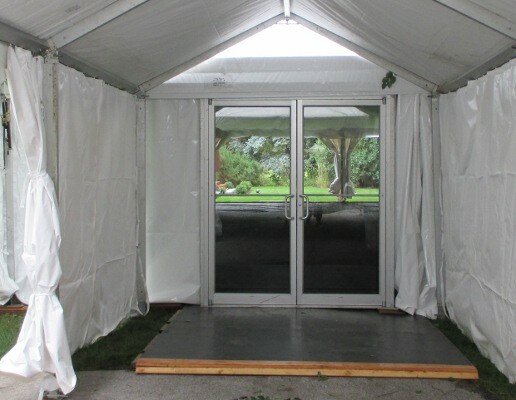 They lead to a LT&A SUPER TENT® set with glass doors providing a formal entry for arriving guests.